Courville competed in the 3-Axle division this year for the FedEx Freight team, which he has been a part of for 26 years. With this victory, Courville advances to his 11th NTDC. This year’s Rookie of the Year award went to Old Dominion Freight Line driver Herman Hutto, who competed in the 3-Axle division and took second place with a score of 276. Hutto has chalked up more than 1 million safe driving miles and is going on 21 years without an accident. John St. Pierre, who drives for C&S Wholesale Services, is Driver of the Year. St. Pierre has put in 25 years with his company, 24 of those accident-free. He was recognized for his willingness to go the extra mile to help customers and others on the road. An eight-member contingent of XPO Logistics drivers won the trophy for highest average team score. 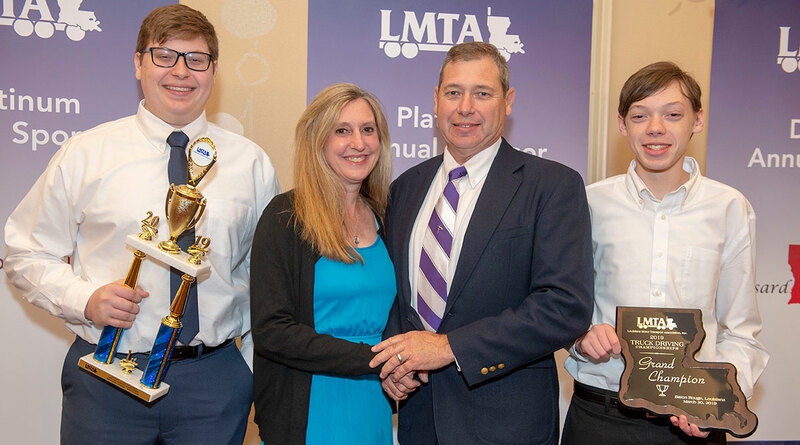 Check out the Louisiana State Truck Driving Championships photo gallery HERE.